Motilal Oswal Mutual Fund is an AMC which has not only provided investors with several great schemes but has also helped them in disciplining their investments. With SIP starting from as low as Rs 1000, people can start investing in its schemes without affecting their monthly budget. In this post, we are going to analyze a mutual fund scheme from this AMC which has caused a buzz in the mutual fund market and the name of that scheme is Motilal Oswal Multicap 35 Fund. It is an equity multi-cap scheme which was launched on Apr 28, 2014, and was previously known as Motilal Oswal Most Focused Multicap 35 Fund. The aim of the scheme is to provide long-term capital growth by investing in a maximum of 35 stocks which can be from any market cap and sector. The scheme currently has 81.47% of total investment in large-caps, 17.88% in mid-caps, and 0.65% in small-cap equities. Motilal Oswal Multicap 35 Fund NAV as recorded on Jul 31, 2018, is Rs 27.07 and the assets under management as recorded on Jun 30, 2018, are worth Rs 13,016 crores. One great thing to notice here is that it has gained such huge assets in just 4 years of inception, which is very highly unlikely for a scheme to attain. As for the additional charges, there is an expense ratio of 2.05% (as on Jun 30, 2018), and you will be liable to pay an exit load of 1% if you redeem your investments before 365 days. 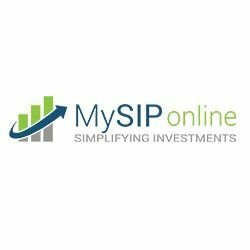 The initial amount required to start investing in this scheme is Rs 5000, and you can start a SIP for as low as Rs 1000 at MySIPonline. Motilal Oswal Multicap 35 Fund has provided returns of 6.80%, and 13.60% in 1 and 3 years, respectively (as on Jul 31, 2018), at the same time the benchmark has provided returns of 11.06% and 12.09%. As we can see that the scheme was outperformed by the benchmark in 1-year return and the reason behind that is the market volatility which started from Feb 1, 2018, after the budget announcement. The total return provided by the scheme since its launch is 26.33%, which is really great even if compared to well established mutual fund schemes. Well, this is the main question which matters the most and in the next few lines, we will see that is it right to invest in Motilal Oswal Multicap 35 Fund. As of now, this scheme has around 44.67% investment in the finance sector, and the top holdings from this sector are HDFC, HDFC Bank, IndusInd Bank, Bajaj Finance, RBL Bank, and several others. Now after a downfall of around 6 months, this sector has started showing recovery and almost all the banking and finance stocks are observing a great hike in price, and are expected to follow the same trend in the coming days. So by investing now, you can easily benefit from this rise of banking and finance stocks and this is one of the few schemes that is having this big investment in this sector. So yes, you should invest in this scheme, if you want to get high returns. With this, we have covered all the information regarding this scheme. Motilal Oswal Multicap 35 Fund has shown that even new schemes can perform greatly if the management is good. So, don't wait for long and join this scheme in its journey of success. If you have any query about this or any other mutual fund scheme, then contact our experts at MySIPonline.